November is possibly my favorite month (Do I say that every month?). 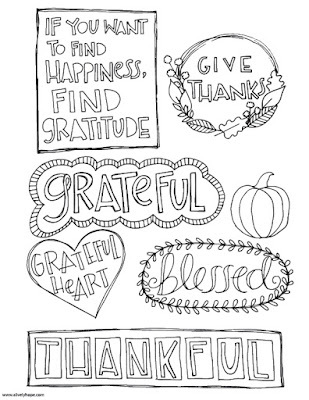 And Thanksgiving is definitely just about my favorite holiday. I love to spend time focusing on gratitude and intentionally remembering the over-abundance of blessings I have been given. 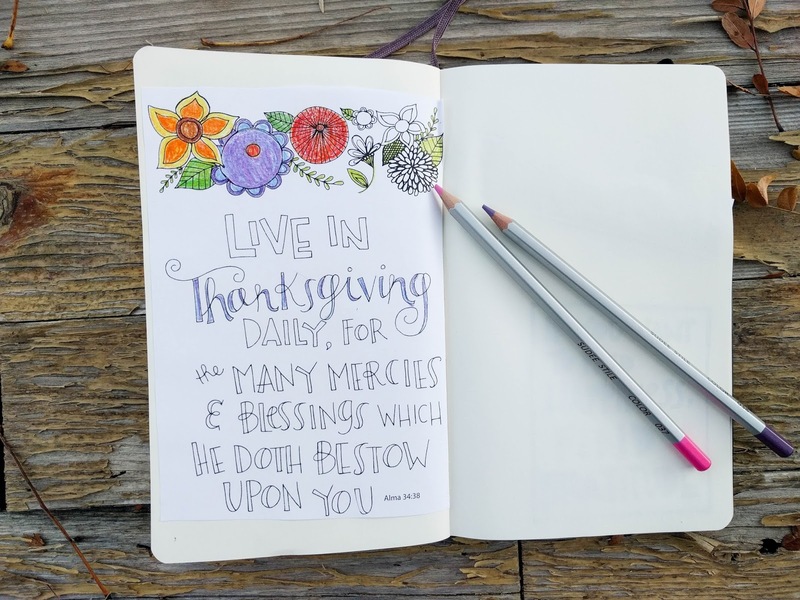 In that vein, I am delighted to share some Thanksgiving journal inserts with you today. These inserts are coloring pages. 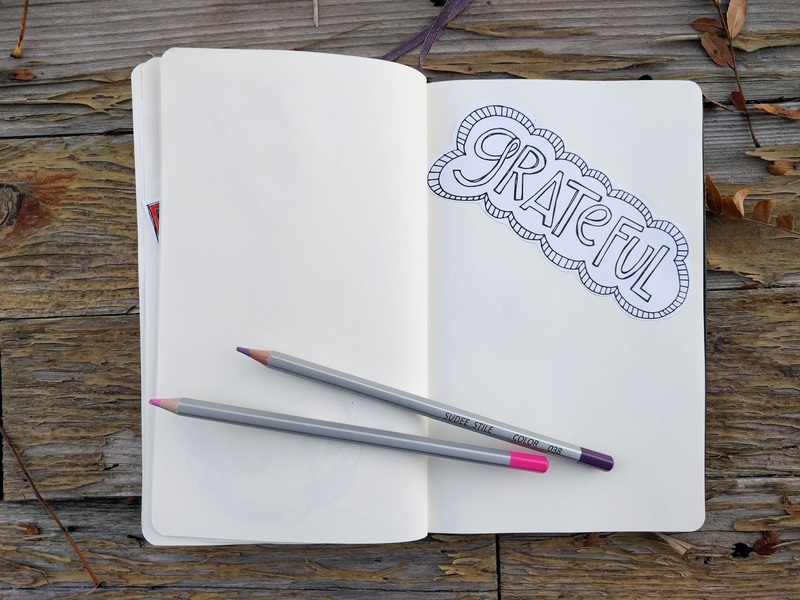 You can leave them black and white or color them in to add a little extra pop to your journal pages. 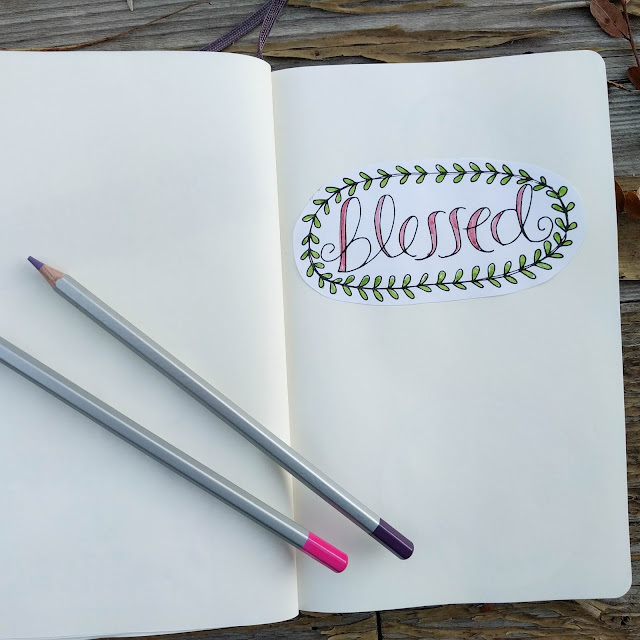 I plan to finish coloring mine in as I write about my blessings throughout the month of November. I've included multiple sizes of both of these pages to allow you to use them for whatever you want. Live in Thanksgiving Daily comes in full-page, half and quarter-size pages. In my examples above I used the half-size and trimmed it to fit inside my journal. 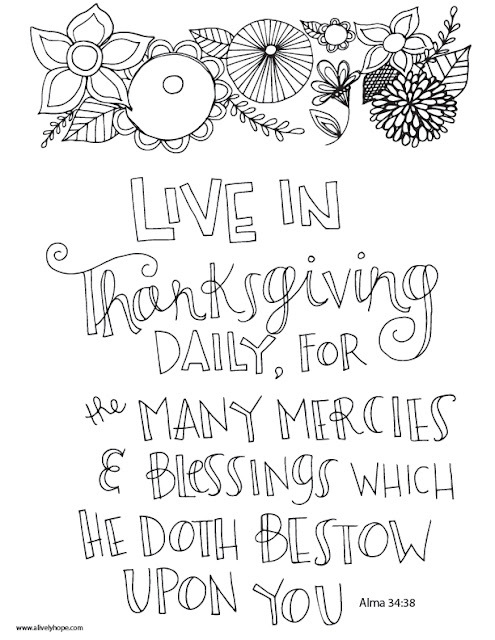 We're using the full page on the bulletin board in our homeschool room as we memorize this verse this month. 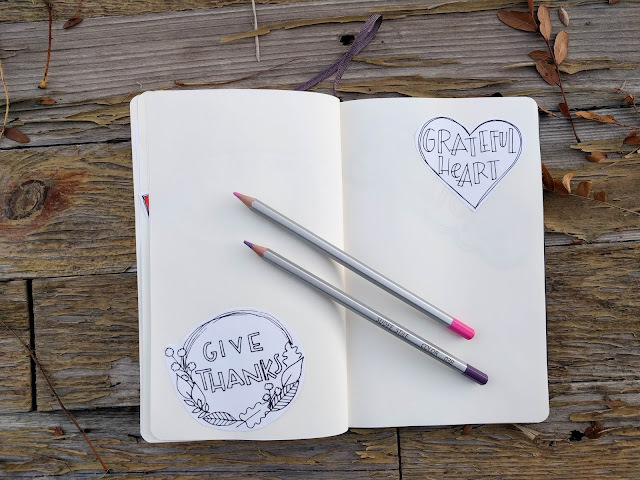 Thanksgiving Doodles page comes in full and half-sized. In my examples above, I used the full size and cut out each doodle separately. 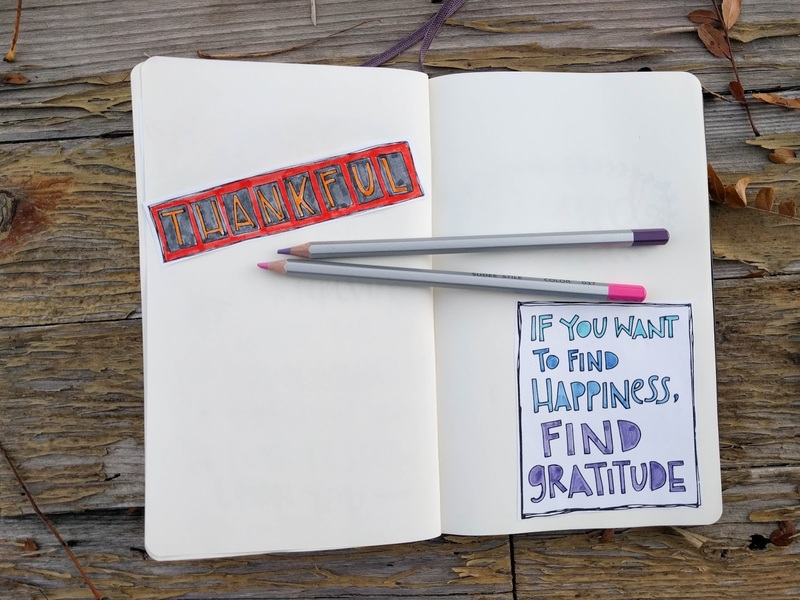 Over the next few weeks I'll be sharing a series about journaling, including details on my favorite supplies, where I find inspiration and the different journals I keep.